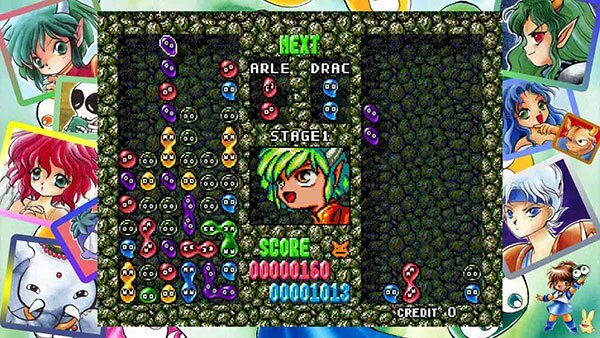 SEGA AGES: Puyo Puyo is now available in Japan, and is priced at 925 yen. SEGA AGES: Puyo Puyo features online battle, a new ranking system, and both the Japanese and western versions. 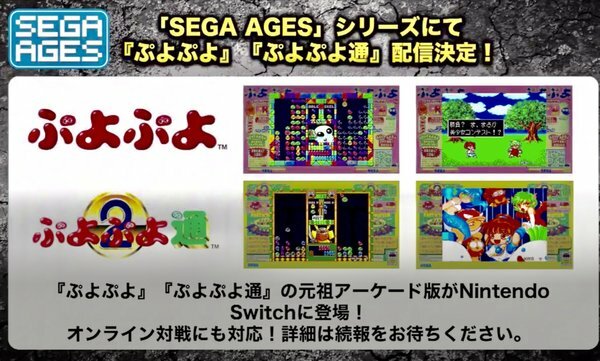 SEGA AGES: Puyo Puyo launches March 28th, 2019 in Japan and is priced at 925 yen. SEGA AGES: Puyo Puyo features online battle, a new ranking system, and both the Japanese and western versions. SEGA AGES: Puyo Puyo has received its Japanese release date. The title will hit the Switch eShop on March 28th, 2019, and is priced at 925 yen. 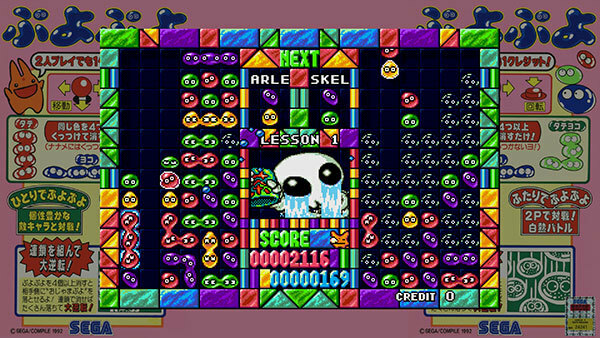 SEGA AGES: Puyo Puyo features online battle, a new ranking system, and both the Japanese and western versions. 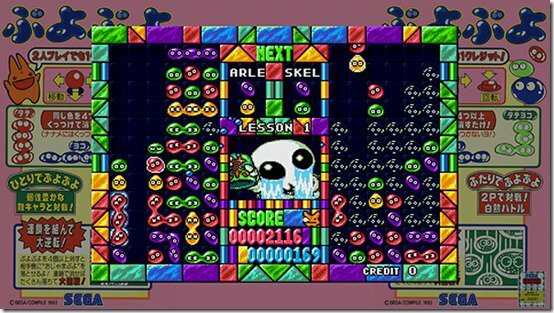 Gain Ground and Puyo Puyo join the SEGA AGES line-up next month! 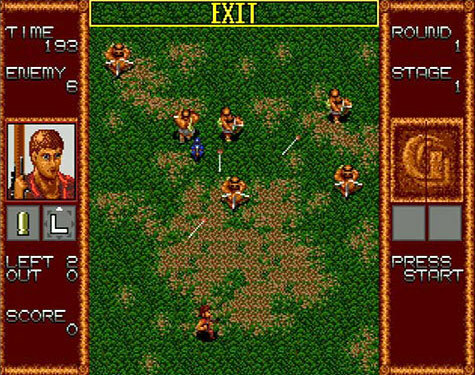 Gain Ground will see the addition of an All-Member Mode that unlocks all 20 characters, along with an Easy Mode if things are a little too difficult or you simply want to enjoy the game casually. Meanwhile, the SEGA AGES release of Puyo Puyo will allow you to try your hand against other players outside your home with Online Play while testing your skills on the leaderboards with the new Ranking System! Note that Nintendo Switch Online is required for online play.